Poland or Prussia: Address is a clue! E H Dancy-- might not be that uncommon of a name. 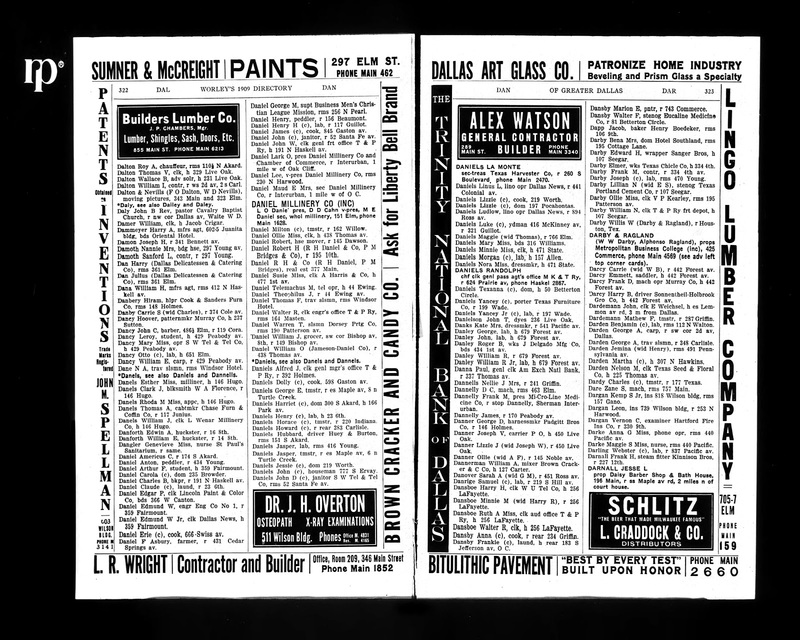 But lookie here, via city directories and tracking the whole family unit, I was positive I had him living at 429 Peabody Ave, Dallas, Texas in 1909. Brother, sister, father- most of the gang here. 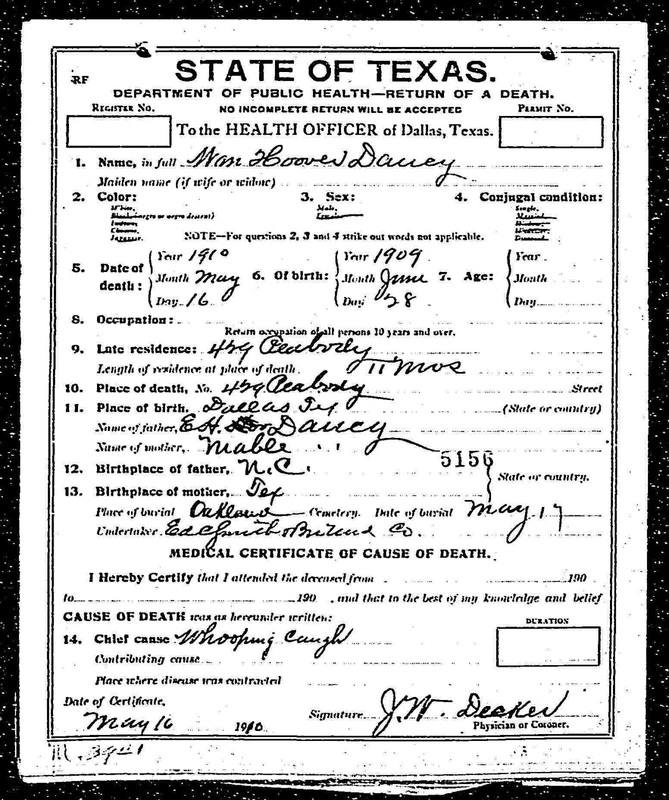 And in a nearly serendipitous find, I have this death certificate for poor William Hoover Dancy who died of whopping cough in May 1910 and is buried in Oakland Cemetery, Dallas, Texas. But the mother is Mabel- not the hard to trace Lillie Mae White I've been tracking. 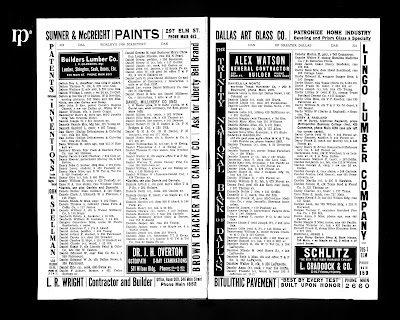 But there it is- the 429 Peabody address. Mabel, his first wife, preceded her young son to her grave. 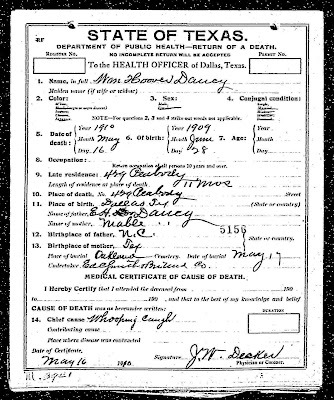 Very soon after his son's passing, E H Dancy marries the 14 year old Lillie Mae White. I noticed about six months ago another researcher already had Mabel- but with no citations. Now its time to reach out and compare notes. She might have had second-hand knowledge.